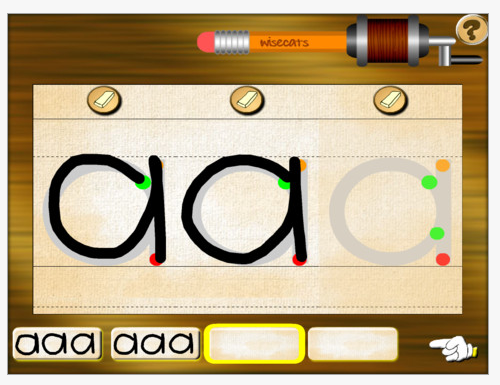 Letter Cats app is a manuscript letter formation app for iPhone and iPad ($.99).Upper case and lower case manuscript letter formation as well as writing words can be practiced within the app. It provides visual directions of the formation of a letter with a dot moving within the lines of a letter and speaks the letter or sound as it is traced. 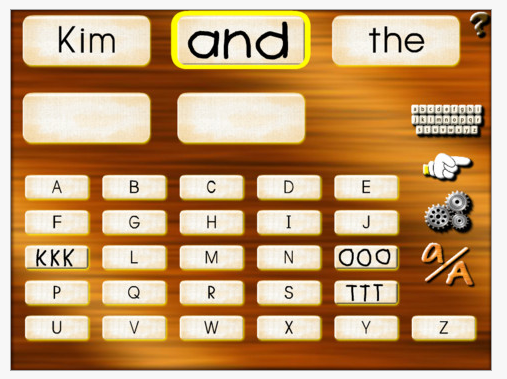 Verbal directions are not provided in the app for the letter formation sequence. Letters that are correctly formed and within the tracing lines sharpen the pencil shown at the top of the app screen. When three letters are produced within those lines the group of letters are added to the home screen to show the users achievements. Letter Cat is a basic skill and drill letter formation app. Some of the letter formations deviate from standard letter formation models if you follow a specific handwriting curriculum as Zaner Bloser² or Handwriting Without Tears³ programs. I does provide the ability to create your own words to practice and trace easily within the app. 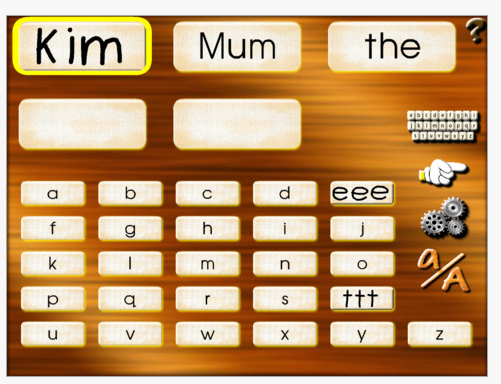 The app provides a few settings for languages, speaking letter or letter sound and turning music on and off. The settings are protected by a multiplication answer. Letter cats does not provide learning letters in like groups, but does allow the letters to be practiced out of sequence. Guidance from an adult would be needed to practice groups of similarly formed letters. I like the fact that you can create your own words whether for spelling purpose or to carry over letter formation to produce words. A few suggestions for the app include making the color of the moving dot darker to detect its movement and direction more easily, provide choice of different styles of letter formation models and provide the verbal directions for letter formation for auditory learners. Providing a few opportunities of reduced guides during letter formation practices would require students to use their motor memory and help reinforce learning letters. Letter Cat provides skill and drill letter formation practice that can help parents and teacher work on letter formation. It is important to match letter formation practice programs with the instructional method used by the child’s school. Being mindful of using a multisensory approach for learning letter formation is also important as well providing different types of sensory mediums. At $.99 this app certainly can help students learn to write letters if provided guidance with proper letter formation, grouping of like letters and auditory feedback to learn. What do you have in your OT iTool Kit for letter formation practice? This entry was posted in App Reviews, Apps for OT's, AT for Handwriting, Handwriting, iPad, iPhone, Occupational Therapy and tagged App Review, Handwriting, iPad, iPhone, occupational therapy. Bookmark the permalink.